Balanced Scorecard Toolkit for HR was created to help HR professionals to start using the Balanced Scorecard concept right now, skipping typical pitfalls and focusing on achievable results. 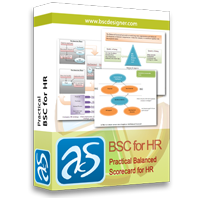 The best ways to move into the right direction is to have an example of what should be achieved, for this purpose the BSC Toolkit for HR includes 15 ready-to-use Balanced Scorecards for HR. Each of these scorecards focus on specific HR area, such as recruitment, training, motivation, retention giving you measurement and control tools for each employee. 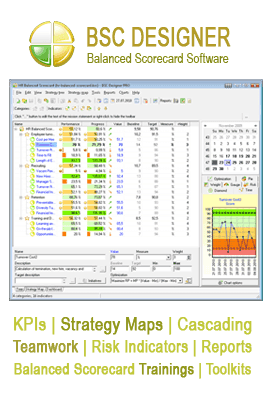 Inside each of the scorecards you will find 12-16 indicators, so in total in the toolkit you will find 232 different KPIs for HR niche. The most important is 29 page guide on how to use Balanced Scorecard for HR. There you will find examples of how to use BSC to improve hire, management and training processes. You can follow advise from this guide step-by-step to achieve the best result. Another guide is 26 page HR Life-Cycle guide. Any HR manager knows that employee in the company is attached to specific life-cycle. It is important to understand this life-cycle and it is important to know how to measure efficiency on each step of the cycle. This toolkit will give you keys to these questions. Training is a critical part of any HR-related activity. That’s why we’ve paid a special attention to training KPI in the 15 page document – Guide for training KPI. 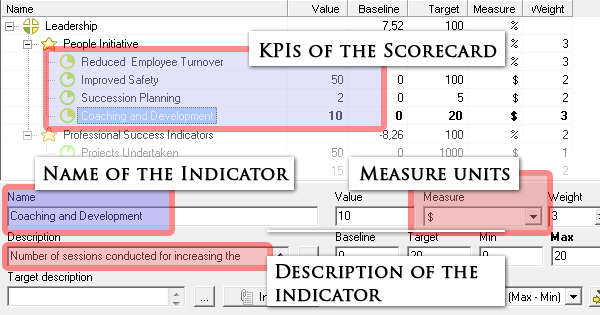 There you will learn about steps you need to follow to create Balanced Scorecard with KPIs focused on training progress. Please note: once you will place an order it will be non-refundable. That is why before placing we recommend you to check available information about the product. 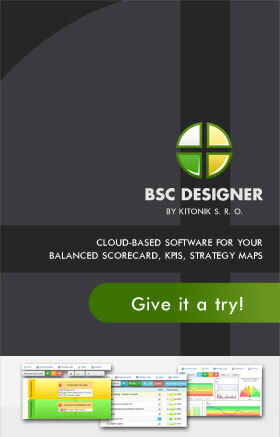 Download the trial version of BSC Toolkit for HR. 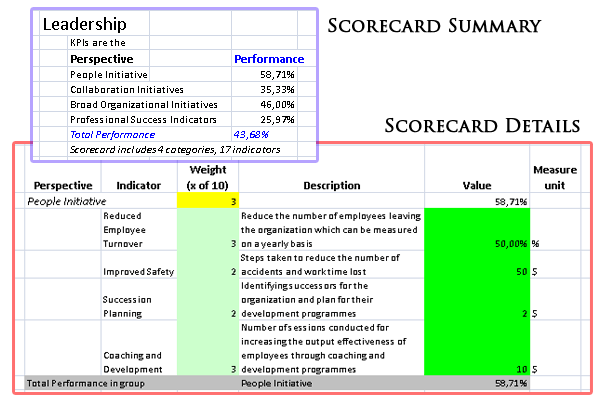 The example of the balanced scorecard and its indicators in the BSC Designer Light. The document reviews different aspects of using Balanced Scorecard for HR unit of company. How to control and improve hire process, how to manage candidates, how to improve interview with BSC, how to control and improve trainings.